My hair is quite long and naturally wavy with a little bit (edit: A LOT) of frizz every now and then. However, during the winter, my hair likes to be EXTRA dry and even more frizzier. So, this winter I’ve been doing a few things to keep my hair soft and smooth throughout this winter. I’ve bought and used many hair treatments from stores but the amount of chemicals in those products just make me cringe. And besides, the treatments I buy either a) do nothing or b) weigh my hair down A LOT. It’s rare I find a product which I actually love that isn’t packed with chemicals I can’t even pronounce. While I love all of OGX shampoo’s, my favourite for the winter has been cherry blossom. This shampoo is ‘heavenly hydrating’ – something I need for the dry winter months. It leaves my hair super soft, shiny and wavy without the frizz. I would definitely recommend this one for soft smooth, silky hair during dry winters. I did a review on this one on my blog a while back, click here if you want to read it! I have now been using coconut oil in my hair every few weeks / months for a while now and I love it. My hair frizz free and super smooth after using this. 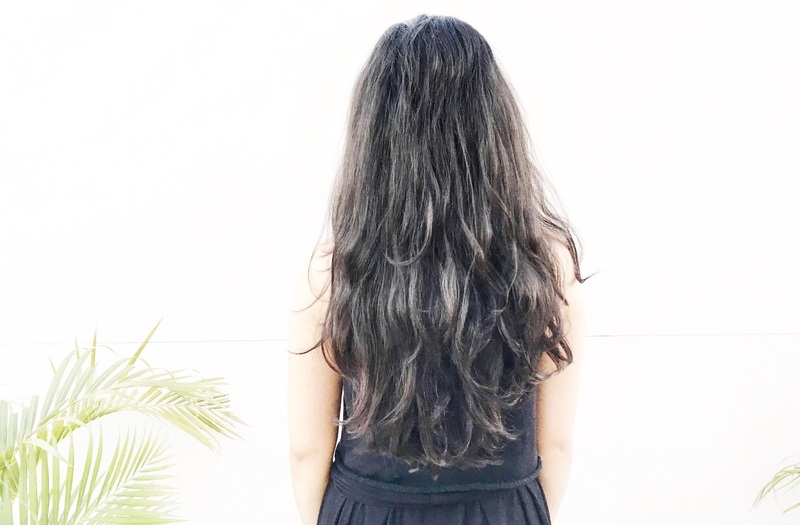 This is a super simple, natural and effective hair treatment. I would recommend doing this on a weekly basis. I like to massage warm coconut oil through my hair and leave it on for a minimum of thirty minutes. After this, I shampoo and condition my hair as normal. The result? Super smooth, silky hair. Moroccan Argan Oil, also known as liquid gold has been one of my favourite products to use throughout the year. However, it’s especially great during the winter as it moisturises and leaves your hair super shiny and eliminates any frizz. I like to apply a little drop of this through my hair after it’s just been washed. I also love this for a quick hair fix. If your hair tends to get frizzy throughout the day and you don’t have time to do anything to it, I love applying the smallest amount through my hair. You’ll end up with less frizz and more manageable hair to style immediately. What are your holy grail products during the winter?